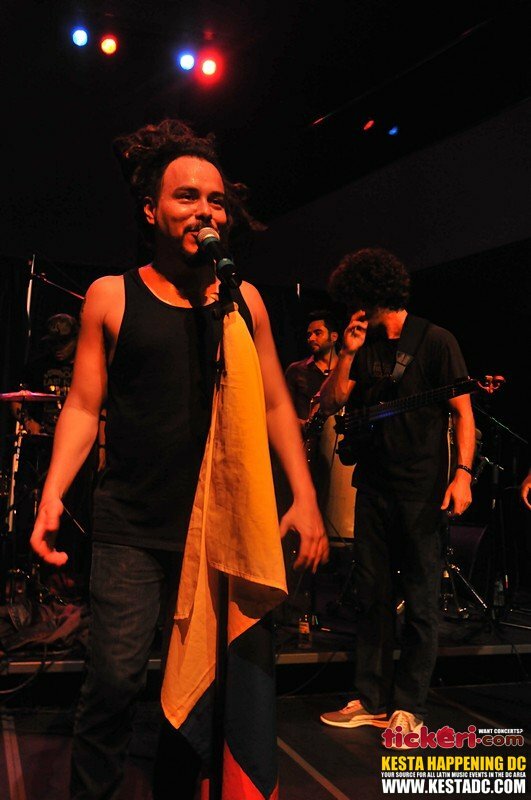 The summer heat couldn’t stop cumbia lovers to gather at The Artisphere for a night full of heat, percussion and of course, cumbia with the Colombian Electro-Cumbia and Ska vibe makers Locos Por Juana. The night started off to a pulsing pace with DJ Mafe and Empresarios. These guys got the crowd on their feet and ready for what was about to go down on stage. Locos Por Juana’s show transformed the Artisphere into a Colombian and Caribbean dancehall where no one was left sitting or alone. A punch packed set list with classics and newer songs that sounded effortless earned the audience’s warm reception and interaction with the band; a solid performance overall. Plus, lead singer Itagui’s dancing dreads and Capoeira moves made this a night of non-stop fun and dancing that got us all Loco for Juana too.